Security is a top priority for HiRUM Software Solutions. 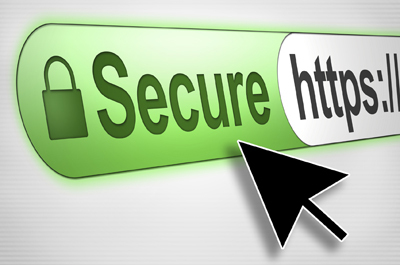 We invest a lot in making sure that our services use industry-leading security, like strong HTTPS encryption. That means our clients using HiSITE Channel Manager automatically have a secure connection. You are only be able to access the HiSITE website with a HTTPS protocol when browsing: https://www.hisite.com.au. If you try to access HiSITE using http://www.hisite.com.au (note the lack of https in the URL), you will be redirected to the secure address. HTTPS (Hypertext Transfer Protocol Secure) is an internet communication protocol that protects the data sent between your computer and the site you are trying to access. For example when you access the HiSITE website HTTPS protects your username and password which is sent from your computer, over your network, the internet and then finally to the HiSITE servers. How does HTTPS protect my data? Encryption – the data sent from your computer to the HiSITE server is encrypted. This protects from eavesdroppers disabling them to “listen” to the conversations made between your computer and the HiSITE server. Data integrity – the data sent between your computer and the HiSITE server cannot be modified without being detected. Authentication – allows your computer to prove that the data sent to actually going to the HiSITE server and nowhere else. To use the HTTPS protocol when accessing HiSITE is very simple, you just make sure that the HTTPS protocol is specified when searching for the website. You can see that I have highlighted the HTTPS protocol that has come back from the Google search. So by clicking on this link you will be accessing HiSITE using the HTTPS protocol. By doing this you are telling your internet browser to use the HTTPS protocol and ultimately connecting to HiSITE securely. We recommend all HiSITE Channel Manager clients update their saved shortcuts to direct to the HTTPS address, but you will automatically be redirected to the secure HTTPS URL regardless.